In this Golden Lotus Qi Gong introduction video, Master Huang tells his personal story of how he suffered a traumatic injury to his spinal column in a skiing accident which completely paralyzed him and how he discovered the Qi Gong path to recovery. As we understand it, this is the only training video that Grandmaster Wei Lun Huang ever made for public use and is believed to be the first one produced in the United States of the Golden Lotus style of Qi Gong movements (first copyrighted in 2012). Previously, the public only got exposure to the Golden Lotus by attending the seminars he gave around the world. Golden Lotus Qi Gong is a distillation of the root energy practices that can enhance and strengthen the energetic structure of the mind and body. It is a refined and ancient sequence of fifteen postures that elegantly unfold the evolution of the energy body bringing health, strength, and well-being. 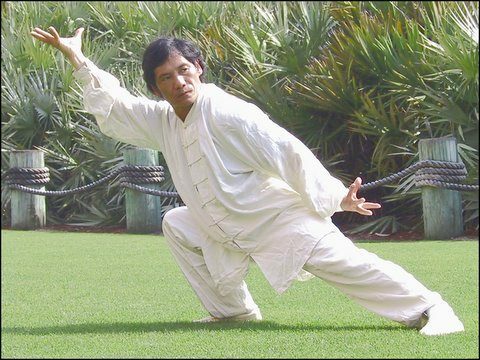 Grandmaster Huang began his studies of internal arts as a child and is a master of slow and fast Yang style Tai Chi, Hsing Yi, Ba Gua, Lu He Ba Fa, Qi Gong, Push Hands, sword, spear, and martial applications. Master Huang’s experience in recovering from a paralyzing spinal cord injury combined with his knowledge of the human body, informs his powerful rehabilitation and conditioning skills as well as the explosive and elegant quality of his martial arts. He has helped students with a wide range of physical limitations and conditions. 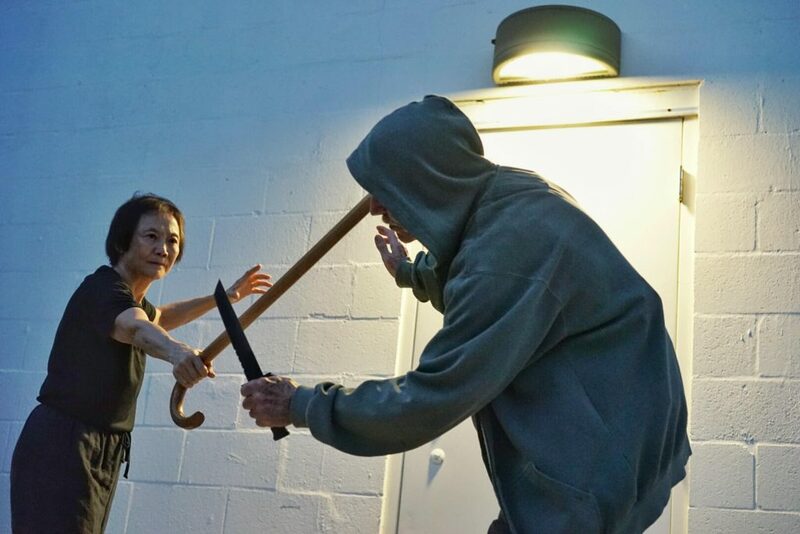 “Widely regarded as one of America’s most skilled practitioners of the internal arts, Master Huang leads inspiring instruction that will raise your practice to a new level.’ Check him out on YouTube. 1 Hour and 43 minutes of Video. Theory and explanation of each form. 16 Forms of Golden Lotus Qi Gong. PDF file with explanations of all the movements in the video in keeping with Master Wei Lun’s comments in the video. Note:This video is a DVD and is part of the only batch of DVD’s ever produced and the supply is limited and no more will ever be produced. It would make a nice souvenir for you to have in remembrance of Master Huang. For a limited time, order now and receive a “Free Bonus” of an award-winning book authored by Grandmaster Wei Lun’s past-wife titled “Healing the Fisher King: Spiritual Lessons with Parzival, Gump, the Grail, Tao, and Star Wars” while the supplies last. Our prices have been reduced in keeping in celebration of our new store opening now. No shipping internationally. All shipping is via Media Mail. The nice part about this course is that you can use it throughout your life and it never gets old. The older you get, the more you will rely on it. As your skills increase, there is no doubt that it will enable you to have the confidence to walk in peace wherever you might go.